Q. How do I print a PowerPoint presentation? How do I print speaker notes in PowerPoint? 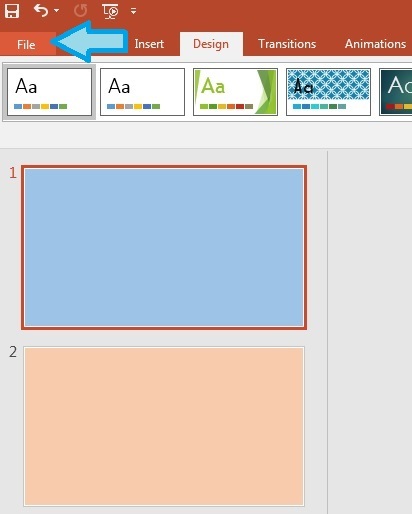 You can print your PowerPoint with or without speaker notes in a few ways. Go to File -- Print. 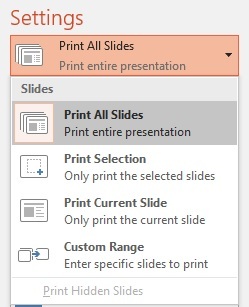 Under Print Settings choose if you want to print all slides, a selection or custom range of slides, or only the current slide. Then, choose if you want to print a full page of slides with or without speaker notes. 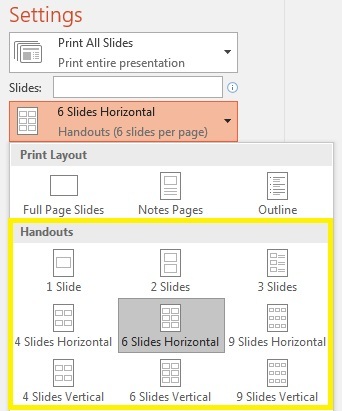 You can choose to print more than one slide per page, but your speaker notes will only print using one slide per page. 1. Click File, then Print. 2. 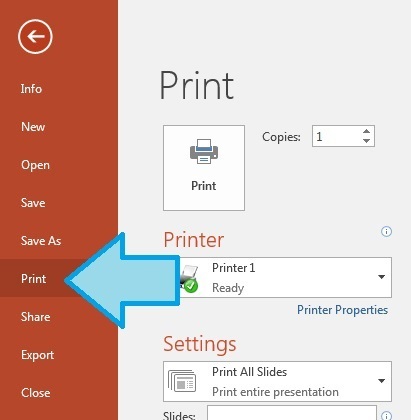 Under Settings, choose which slides to print. 3. 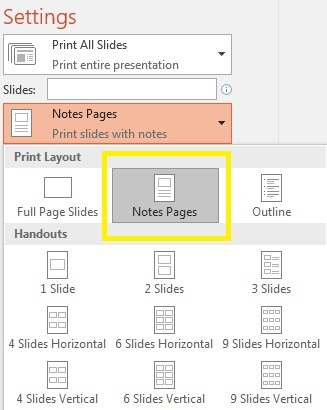 Also under Settings, choose Notes Pages to print speaker notes for each slide. 4. When settings are correct, click Print. 3. 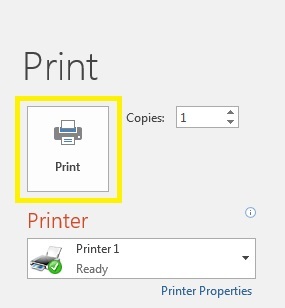 Click Print when ready.